TalkSport have stated that Roma youth player Federico Viviani is the latest Italian based players to be linked with United, The 22-year-old who had loan spells in Serie B with both Lantin & Pescara last season is now expected to leave the Stadio Olimpica due to only managing six appearances in Serie A for the capital club. Viviani currently has 3 years remaining on his current contract & is valued by Roma at around the £2m mark. The Mirror are reporting that Argentine striker Leonardo Ulloa will tell boss Sami Hyypia that he wants to leave the club in a hope of securing a switch to Premier League new boys Leicester City. The Seagulls have already rejected a £7m bid for the 27-year-old however now they may have to start considering life without the striker who since joining in January last year has 23 goals in 50 league games for the club. As reported in the local paper The Bristol Post 20-year-old Liam McAlinden has emerged as a likely target for Bristol City. It is believed that Robins boss Steve Cotterill may be identifying possible targets in the event of City’s top-scorer Sam Baldock being sold during the summer window. 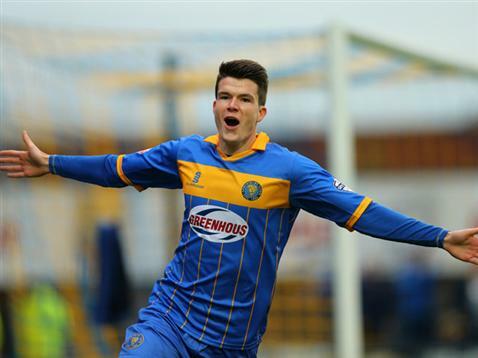 McAlinden spend last season on a 3 month loan at Shrewsbury Town where he managed to grab 3 goals in 9 starts for the League One club. Season ticket holder for Preston North End for 5 years, I currently have career in Sales & Marketing, however I'm passion about football in general which is has sparked my love of writing.